New Jersey drug laws are among the toughest in the nation. If you are accused of possessing even a small amount of marijuana or some other drug, you will face severe penalties and you could wind up spending a long time behind bars. That’s why it is imperative that you speak with a knowledgeable lawyer immediately and learn as much as possible about your drug charges. The Tormey Law Firm is a criminal defense team with lawyers who appear regularly in courts throughout Essex County, NJ, including Irvington, Orange, and Verona. Travis J. Tormey, the firm’s founding partner, previously served with the United States Attorney’s Office. Additionally, the firm has a former county and municipal prosecutor on staff, so we know what is needed to win your case in the courtroom. Call the Tormey Law Firm today at 201-654-3464 to discuss your case. 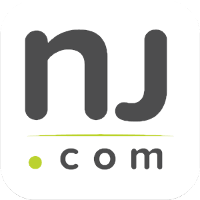 In the meantime, keep reading this page for answers to Frequently Asked Questions about NJ drug charges and penalties. 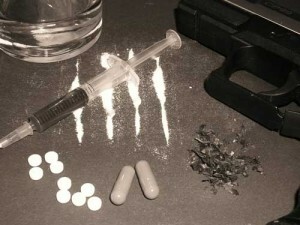 What are the Penalties for Drug Possession in NJ? What are the Penalties for Drug Distribution in NJ? What are the Costs for Essex County Diversionary Programs? Under certain circumstances, first-time drug offenders might be eligible for admission into a drug diversionary program such as Pre-Trial Intervention (PTI) or Conditional Discharge. However, anyone who is admitted into one of these diversionary programs must pay a mandatory penalty of $500–$3,000. This penalty is in addition to any other fines or penalties for the drug charge. What are the Penalties for Drug Paraphernalia Charges in New Jersey? The use or possession of drug paraphernalia in New Jersey is a serious offense. As set forth by N.J.S.A. 2C:36-2, a conviction on drug paraphernalia charges can result in a sentence of up to six months in jail, as well as a mandatory fine of $500 to $1,000. The Tormey Law Firm is prepared to assist you with your drug case and help you avoid the most serious drug crime penalties. Call 201-654-3464 to speak with one of our experienced attorneys, our fill out the online contact form to schedule a visit to our office in Newark, NJ.